I fell in love with Venice the second our eyes met, I’ve stood in awe at Rome’s Colosseum more than once, and I’ve chowed down on the best pizza of my life in Naples. But it’s the hidden gems of Italy that genuinely have me hooked and returning time and time again, from quaint villages of colourful stacked houses to mirror-like lakes against alpine backdrops, going off the beaten path in Italy truly pays off. While I’ve only explored 12 of the 17 regions that make up Italy, I’ve discovered plenty of Italian hidden gems on the way, especially over my countless visits to this loveable country in the past year. 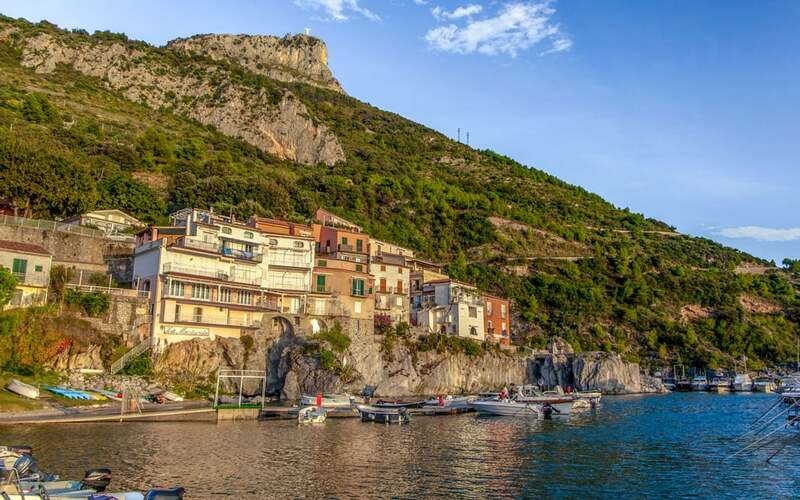 This list will no doubt keep expanding as I venture back to discover more hidden gems, but for now here are some top suggestions for those wanting to get off the beaten path in Italy, something I promise you will be full of rewards. Perched against the backdrop of the Dolomiti Lucane, visiting Castelmezzano was a total accident during my recent Southern Italy road trip. 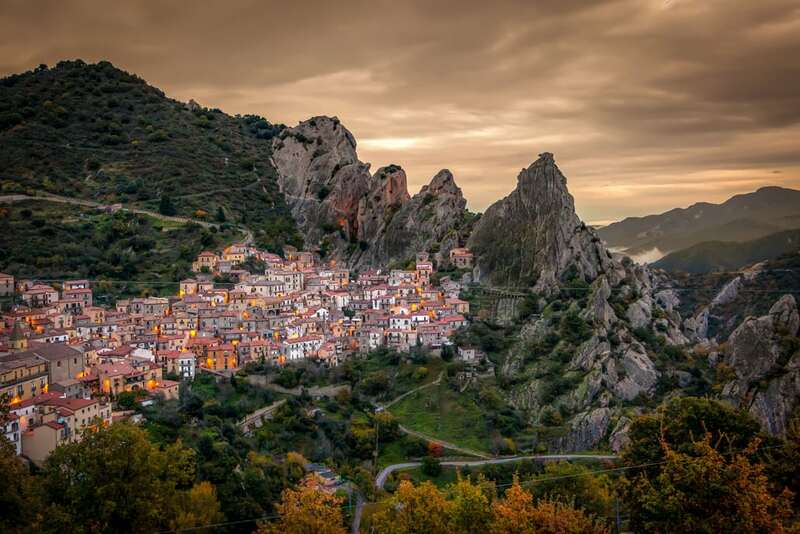 This stunning Italy hidden gem is well worth the detour from the main road cutting through Basilicata, and it comes paired up with another beauty on the opposite mountain, Pietrapertosa. Travelling between the two can be completed on the ‘Flight of the Angel‘ – a high-speed zip wire that connects these two off the beaten path Italian towns together. While the town itself is mesmerising, especially when viewed from a distance to admire its unique location, the surrounding area is full of epic hikes, forests and national parks. Dating back to the 10th-century and with an age-old charm, an overnight stay in Castelmezzaono is undoubtedly on my hit list when I return to Basilicata. 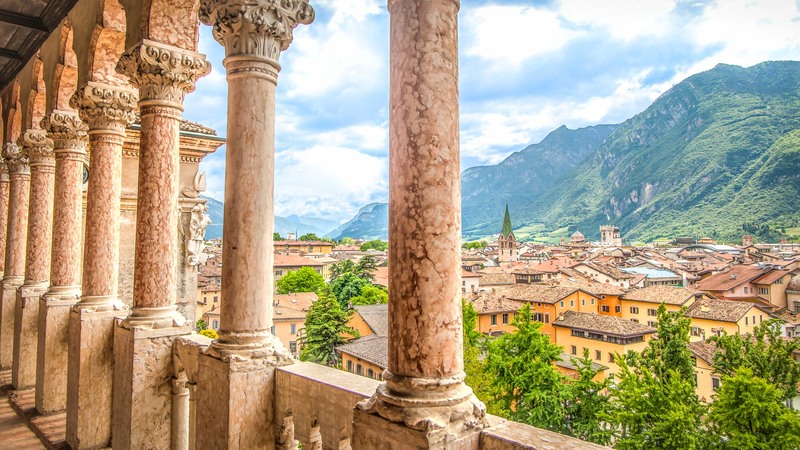 The capital city of the Trentino region, Trento is a perfectly sized city break. It won’t exhaust you like a weekend in Rome, but it still provides ample opportunity to experience the best of Italy; culture, art, food, more food and that relaxed vibe that makes Italy so unique, making it a firm favourite on my Italy hidden gem list. The cobbled streets of the city were spotless, a far cry from some of the filthier areas of, the larger Italian cities, while the impressive Buonconsiglio Castle, galleries and outside frescos provide enough culture without being overwhelming. Over a weekend I could walk the streets with no rush to be anywhere, turning down little alleyways, grabbing drinks in the main square under the impressive cathedral and enjoy being in a city where the locals seemed as excited to be there as I did. While the region of Trentino is popular with neighbouring countries to visit by car, it’s still a relatively off the beaten path destination in Italy. 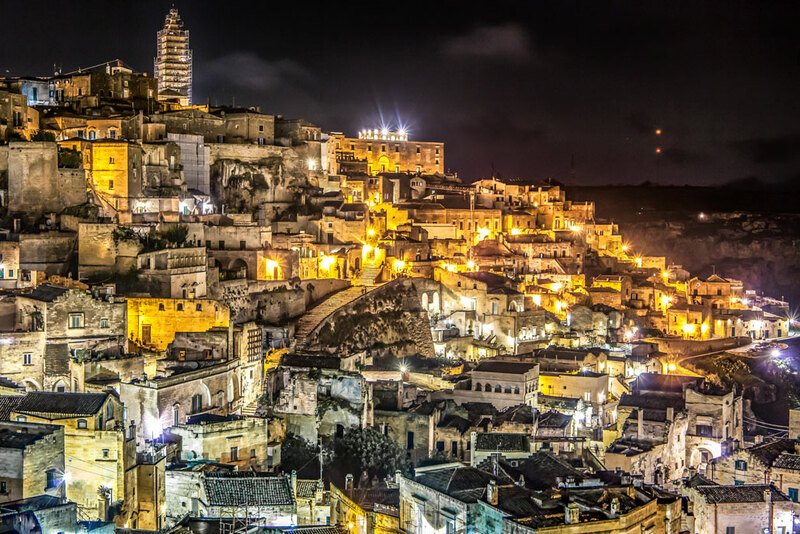 Matera has become more well known in recent years thanks to being awarded the Capital of Culture 2019, but this fascinating spot, one of the longest inhabited human settlements in the world is a must visit. The selection of caves that make up the Sassi, the old part of the city which is now surrounded by the new section, is incredible to explore. The inhabitants all left these cave-like homes when disease was rife, but they are now open to discover with the history of poverty left behind. If the accommodation prices in Matera make you bulk, then staying at relatively nearby Massafra or Castellaneta, which are more off the beaten path, are good bets. Both are much quieter and relaxing, but offer plenty of lesser discovered attractions. Whether you explore the castle of Massafra and marvel at its old Viaduct or visit the beaches or perched town of Castellaneta, this triangle of close by spots provides plenty of fascinating history to discover. Calabria, much like Puglia on the other side, is a region of azure waters, sandy beach days, great value and off the beaten path Italian experiences. As a lot of international visitors to Italy stick to the north, the south, in general, provides a more affordable beach destination. That’s not to say it’s without the crowds though, especially in the peak summer months when locals head south for their vacations. One of the most impressive features of Tropea is the Santa dell’Islo church which is perched on a large rock overlooking the beach. The 12th-century cathedral and fortified old town add to the splendour, and it’s a great base to explore more of the Calabria region. Lake Como is a real gem in the Lombardia region, most famous for its capital city of Milan. 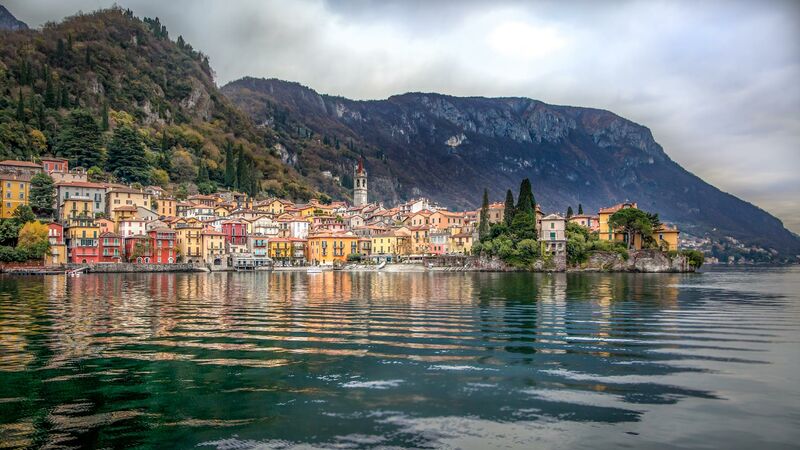 While Bellagio and George Clooney’s home may be its most famous draws, there are countless villages and towns around the lake with lesser crowds and that are equally, if not more beautiful. Varenna is across the water from Bellagio and was my favourite of those I visited. During a crisp November day, with snow-capped mountains really showing off the bright colours of the houses here, I felt like I had all of Varenna to myself. It might not be off the beaten path Italy all year round, but out of season it really feels that way. With spectacular castles and grand houses in the mountains above, and the little coffee shops with their lakeside views at water level, Lake Como is the perfect place for a long weekend of rejuvenation. The Trulli houses that Puglia is known for are at there most dense in Puglia. 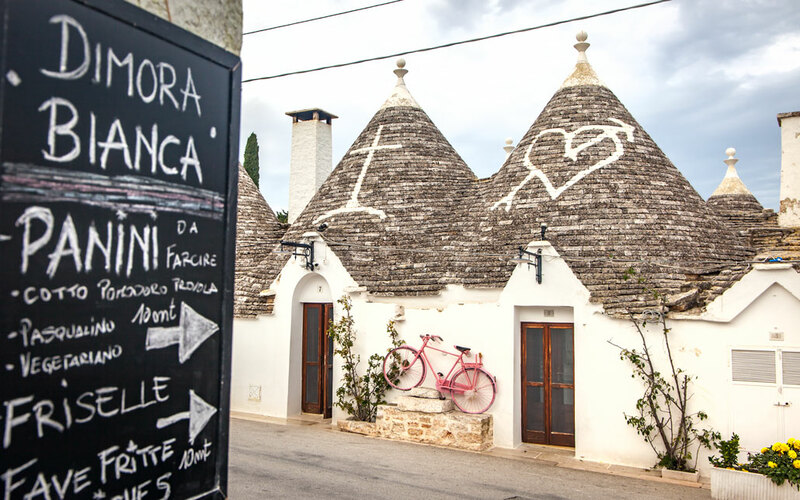 Stone buildings with the pointed cone-like roofs make for a perfect postcard photo; though now more and more people are discovering Alberobello it won’t be a hidden Italian gem for long. The more touristy side of the Truli was reasonably busy on the public holiday I visited, but if you visit the opposite side, you’ll find much emptier streets with homes open to stroll through and discover the history of these iconic buildings. One thing that did surprise me here was the town has built up and around these houses, which mixes the traditional with modern and I hadn’t realised it wasn’t just a remote collection of Truli from the photos I had previously seen. Now, this is a place that stole my heart. 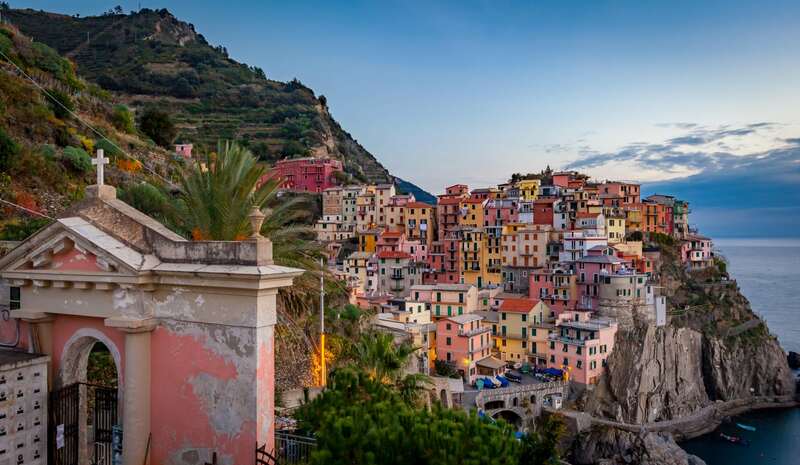 While Cinque Terre and Portofino steal the show along this coast, quieter and charming Camogli retains much more of its traditional fishing village, feel making it somewhat hidden gem in Italy. A traditional fisherman town with colourful houses, a long history, impressive hotels, small bakeries and laid-back vibe is one of my favourite places in Italy and given what a fantastic country it is, that is no mean feat! If you do visit Camogli, then be sure to check out the historical and impressive Cenobio Dei Dogi hotel which has been lovingly restored and although a bit pricey, provides a slice of history and elegance to go with your catch of the day and amazing views from the pool terrace. We had no intention of stopping here, but I was in desperate need of a toilet break that quickly turned into getting lost in the labyrinth of white streets and a delicious lunch in the church square. Martina Franca is a short drive from Alberobello but had very few tourists, at least on the day I visited, which places it firmly on the Italy hidden gems list. In summer it hosts an opera festival which sees its visitor numbers grow. 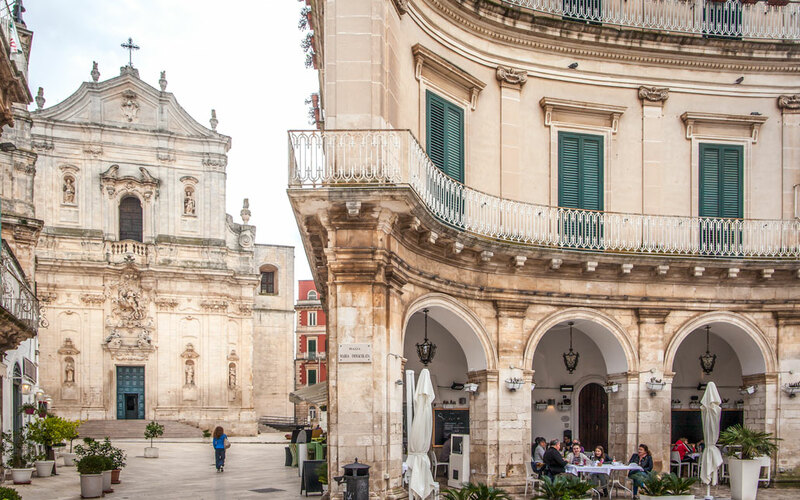 The town used to be completely walled off, and the large squares, little restaurants and spotless setting make this an ideal lunch stop if nothing else. Nestled alongside Lake Orta, this pastel coloured town is a real gem in Piedmont and boasts lovely views of the inhabited island of San Giulio which sits in the lake itself. As with most lakeside towns and villages in Italy, expect colourful hues of homes, family-run restaurants, and being the north of the country, Aperitivo hour with fixed priced cocktails served up with plenty of snacks. The vibe here is laidback, with coffee culture going strong at the various piazzas and gardens in the town. A boat trip across to the island is a must and staying overnight is a treat as the lights from the island flicker in the reflections of the lake. 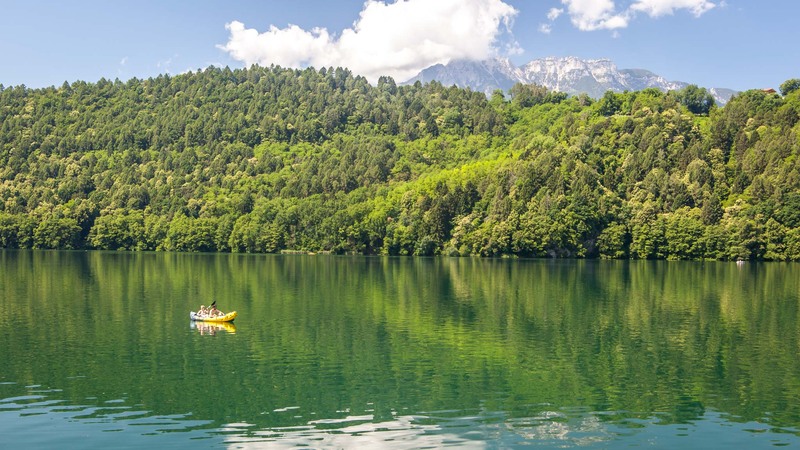 Valsugana offers up epic hikes, lakes perfect for watersports, and all against snow-capped mountains and an alpine tree decorated backdrop. While Lake Garda might be the most famous lake around here, those in Valusgana, such as Lake Levico, still have those Europe hidden gem vibes about that. I was also amazed to find out that numerous lakes had been awarded the blue flag award for beach and water quality, something I had assumed was just reserved for beautiful beaches. Once you see the bright cleanliness of the lakes and the families relaxing on the beachside shores though, you’ll quickly see why this region deserves these accolades. I stayed in the Valsugana region for my lake-side escape, and it was the perfect off the beaten path Italian experience. The unexpected rains did not dampen our unplanned and last minute visit to Acquafredda and Maratea, but surprisingly become one of the best nights of my recent Italian road trip. With the statue of Christ looking down on Maratea, it’s no surprise this picturesque town along the coast is packed with churches. Enjoy marina side dining down on the waterfront, or take a short stroll inland to enjoy the town itself, before dipping into limestone caves to escape the summer sun. Just a short drive down the road and you’ll arrive at Acquafreeda, a hidden gem in Italy that many just drive through as they explore the Basilicata coast. This small village has just a couple of restaurants, but we found a fantastic 4-bedroom house here for the night at a crazy price, where Gianni, the owner welcomed us like long lost friends by popping open Prosseco and sharing insider travel secrets of the region. With an outside bath overlooking the ocean and the colourful houses on either side of the green mountains, it felt like a magical experience without the need of a fancy hotel. Cesenatico was one of those places where I just pointed at a map and went with no real research (it’s one of my best skills in life). I had wanted to visit the charming canals of Comacchio which had been touted as a ‘Venice without the people’ but time was not on my side. 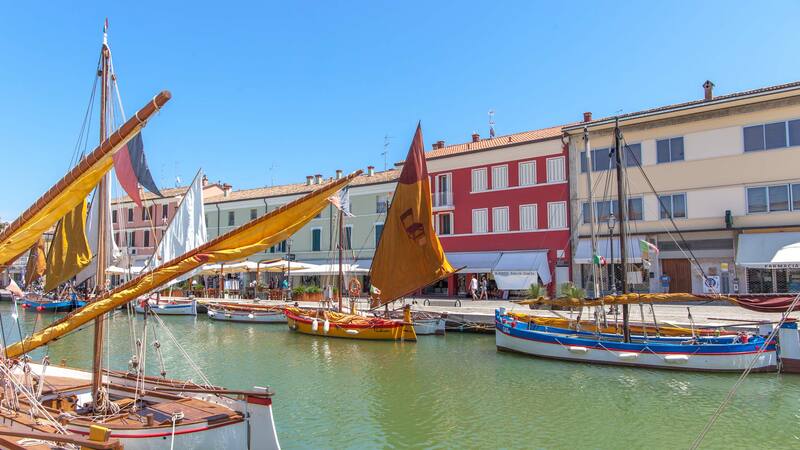 Luckily, the quaint and relatively hidden gem of Cesenatico was an ideal day trip from Bologna. Sure, it has a beach on the Adriatic, but I always recommend Albania or The Algarve for Europe beach holidays as I find the Italian beaches crowded with deckchairs. The town it’s self though is adorable, with colourful houses lining the few small canals, a maritime museum with boats displayed on the canal and plenty of little restaurants the slow-pace of Italian life is ripe for the taking here. If you want a slice off canals Italy style, but off the beaten path, venture here and Comacchio. 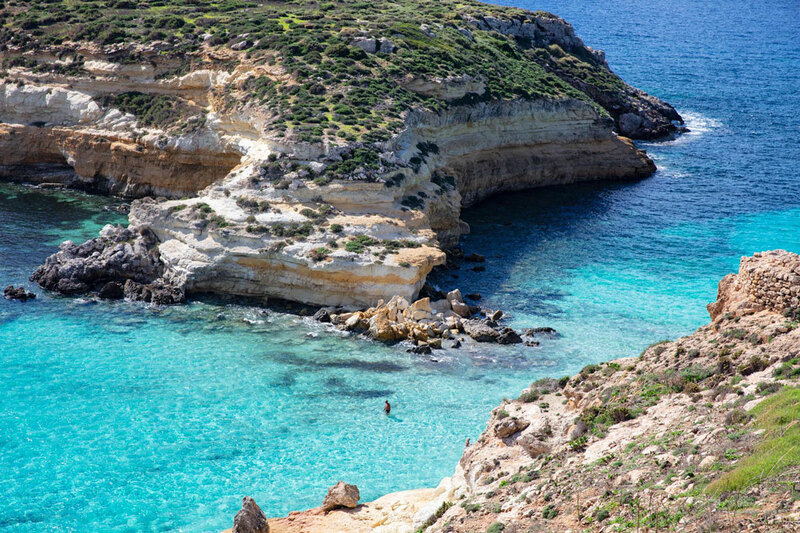 I can not wait to visit Lampedusa, especially after my good friend Nicole headed there just before we joined up for our South Italy hidden gems road trip. If you have heard of Lampedusa before, it likely isn’t as an off the beaten path Italy tourist destination, but more likely linked to news reports about refugees. Located in the Mediterranean ocean, Lampedusa sits halfway between Tunisia and Malta. With incredibly warm and clear waters around it, and the chance to swim with turtles, dolphins and countless other marine wildlife, the island is indeed a different way to experience Italy, from the food influences to the culture being entirely different to the mainland. Epic sunsets, amazing beach days and a real adventure await those who venture off the beaten path in Italy and head to any of the three Palagie Islands. Read more on my friend Nicole’s Lampedusa Travel Guide. While Lake Garda, which is split between three regions of Italy, is one of the countries most iconic tourist destinations, the commune of Sirmione offers such a unique attraction I had to include it on my Italy hidden gems list. The Sinking Castle in Sirmione is a magical spot, with part of the castle doing precisely what it says on the tin and being submerged under the waters of Lake Garda. The rest of the Scaligero Castle, dating back to the medieval ages, can still be explored above water while the Grotte de Catullo offers up plenty of archaeological treasures and a Roman museum. 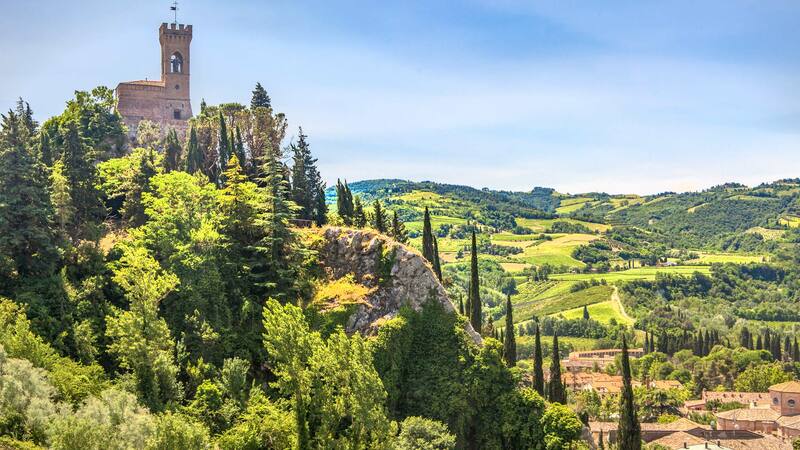 When you think of Italy from the movies; you know the ones, hair flying in convertible cars, verdant green hills of vines, castles towering above little red roof towns, you’re essentially thinking of Brisighella. This too cute to believe Italy hidden gem was my first day trip in Emilia Romagna and it stayed my favourite. The picturesque streets with little cafes and gelato shops sit under the three hills of the town; one clocktower, one castle and one church. You can enjoy a casual stroll between the three and visit them before noshing down on all the gelato below. We saw one little tourist group there but other than that, on a blissfully sunny June day it was devoid of tourists, making this a true off the beaten path Italy experience. Be sure to check out the surroundings including the old quarry caves which now host live music performances underground, the excavation site of the old castle which offers terrific panoramic views and head to the mountains for some fantastic fresh food and fresh air at the Parco Carnè visitor centre. The Lazio region is home to one of Italy’s most famous cities, Rome, but that doesn’t mean there aren’t plenty of Italian hidden gems to find here too, especially given its such a hotbed of ancient architecture. Sperlonga is one of those places, and worth going off the beaten path in Italy to visit. A coastal town that lies around mid-way between Rome and Naples, the sea grotto here which dates back to Roman times is the main draw. 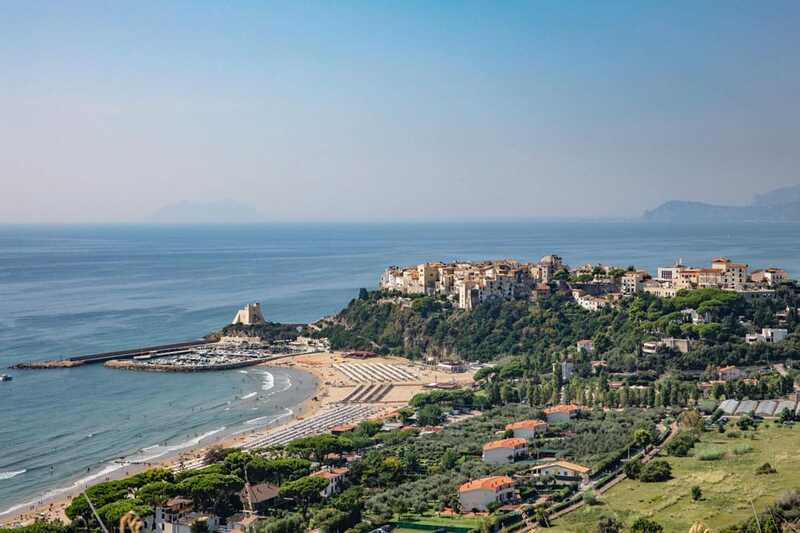 The Villa of Tiberius is home to plenty of ancient sculptures and a well put together museum while the beach and port overlooked by the Torre Truglia come equipped with plenty of small restaurants to get your pizza and pasta fix. To avoid any doubt, San Marino is an entirely different country to Italy, but given Italy surrounds it, I thought it warranted a place and inclusion on my Italy hidden gem list, especially as it is one of the least visited countries in Europe. This tiny republic is the 5th smallest country in the world and after sunset and the daytrippers depart, you have the most magical ancient experience walking its old city without any crowds, to get off the beaten path in Italy, you just have to cross a land border. It’s a truly fascinating place being one of the oldest republics in the world. Italy surrounds it but not part of the EU (although it has no borders). They use the Euro and have individual San Marino coins. They have two presidents at any time who serve six months each. They have their own calendar. You get the point, it’s a pretty unique place, and as such, you should certainly make the time to ‘pop over the border’ to this still fairly undiscovered gem. 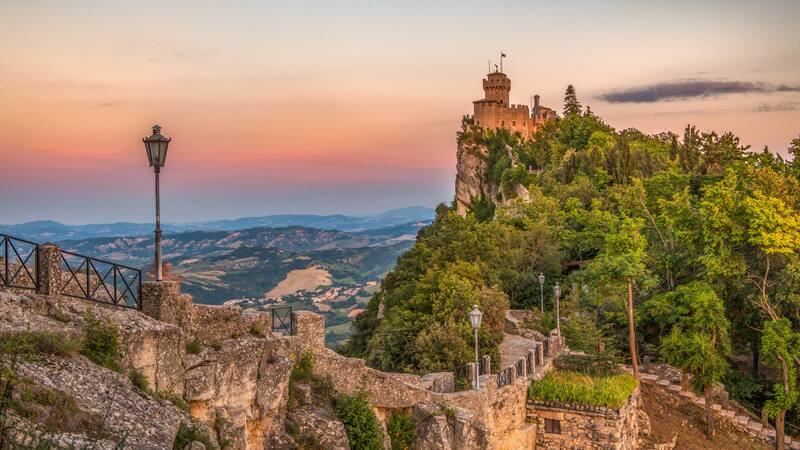 Read More: San Marino, day trip or overnight? When we arrived at Padula, the heavens had opened and what was meant to be a breathtaking view of this Campania town climbing up a mountain was more a hazy cloud and dodging newly created rivers running down the roads. The windy route up to the top provides you with tremendous views down on Certosa di Padula, a large monastery that dates back to the 1300s. 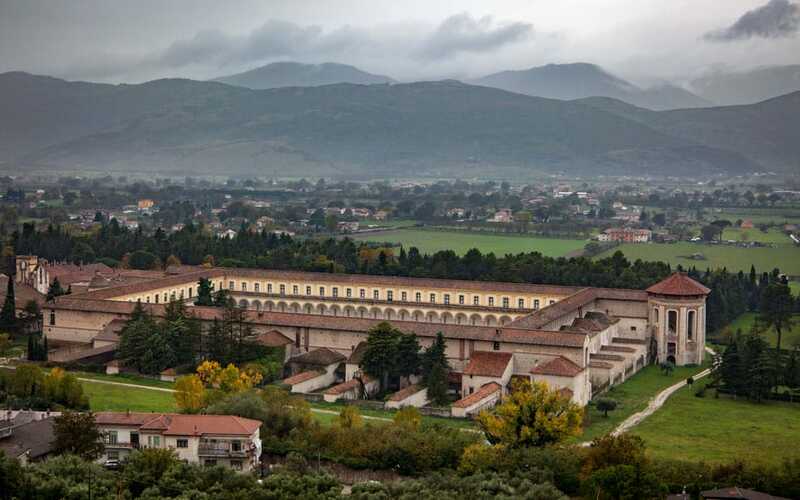 Padula itself is a relatively hidden gem in Italy, with most people speeding past it on the motorway, but it’s an excellent pit-stop if nothing else to explore the monastery and plentiful churches and squares in the commune. And, if you make it on a sunny day unlike me, the views looking at the town which rises up the mountain will be epic. At the bottom of ‘the boot’ that is the Puglia region, you’ll find a whole host of blue hues awaiting you in the ocean, so much so you’ll feel you have been transported to a tropical land, not off the beaten path Italy. The south of the country still sees far fewer visitors than the north, and in Santa Cesarea, sat on the strait of Otranto, you can lounge around on golden beaches, visit caves and grottos, and enjoy delicious Italian cuisine for a fraction of the price you would pay in the north. The thermal baths here are the main draw, but even if you don’t leave the beaches and family run restaurants, you’ll still enjoy a perfectly relaxed oceanside vacation. On a crisp November day, with blue skies and beautiful waters, I arrived at the five lands, or towns, that make up Cinque Terre. It was basically empty, with just a few tourists to share the experience with and I was reminded just how much the crowds in summer can completely change the vibe of European destinations. Each of the five villages built into the rocks along the ocean offers different experiences, from hiking and vineyards to sandy beaches, but if you visit in the middle of Summer expect plenty of other tourists, including group tours from the nearby cruise terminal. For an off the beaten path experience of Cinque Terre, brave the colder winter months, the views are still just as stunning. Do you have any off the beaten path suggestions for my next visit to Italy? Some Italy hidden gems I should make a beeline for? If so, please leave them in the comments so I can keep adding more to this list of places to live la dolce vita. Thanks for this post, Dan! 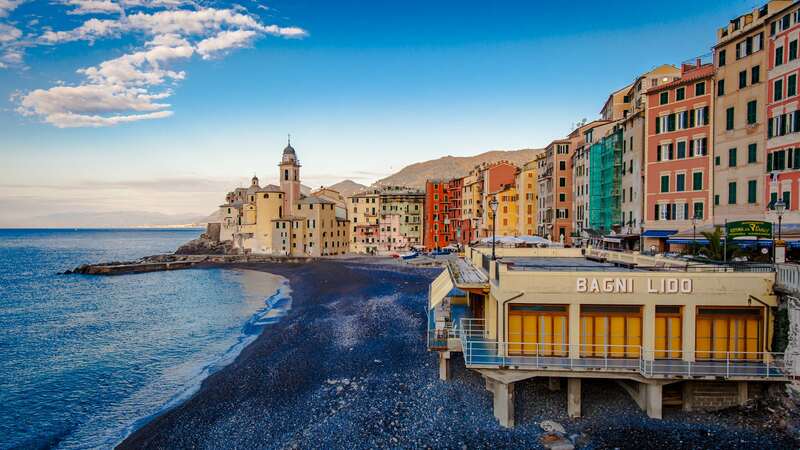 My heart ached when I saw the picture of Camogli on your list. I was there in November, and although 90% of the stores/restaurants were closed, I found it to be a magical, magical place. I had an amazing time hiking–and the sunsets render one speechless. I am bookmarking this list because clearly we have the same taste in vacation! Hope the list helps and 100% on Camogli, what a dream! Omg woowww… there is so many places to explore. and After reading your blog i feel like i am traveling Italy. its awesome experience. Loved how you covered not so famous places! 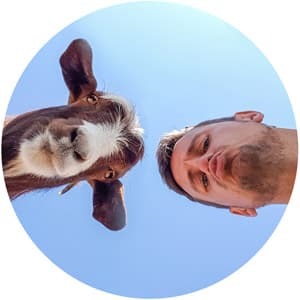 I’ve seen that you went to Cinque Terre as well, maybe you can compare your day there with our itinerary ? Love this post, we used it to plan our trip down to Italy but unfortunately, our VW bus broke down and we had to get towed back to the UK! Next time! Wow these places seem beautiful! Growing up and moving around the world I’ve had the chance to see some pretty cool places as well, generally being more “tourist areas”. These “hidden gems” that you have found are definitely places I will be adding to my list to visit. It’s insane how much there is to see in Italy! This is such a great post, even I had no idea there was this much to see and do. These pictures are incredible too! The beauty of the Italian country never ceases to amaze me!